We all forget things once in a while or get down in the dumps. But if you have noticed you’re feeling sad frequently, and have memory issues or brain fog, your thyroid may be to blame. The thyroid gland is located in the front of the neck. The gland converts iodine from foods into thyroxine (T4) and triiodothyronine (T3), which are inactive and active thyroid hormones. The pituitary gland and hypothalamus help keep the levels of hormones in balance. Thyroid hormones travel through the bloodstream to aid in a variety of functions. One vital role of the thyroid gland is to maintain proper brain function. Adequate thyroid hormones are essential for brain development from the start. Maternal thyroid levels affect a fetus’s brain. The thyroid hormones are transported through the placenta to the fetus to aid in brain development. Low maternal thyroid levels can lead to a variety of problems in a baby’s developing brain. Research has indicated that children born to women that had low thyroid levels had a significantly higher risk of learning disabilities and impairment in IQ scores. (1) Your thyroid gland continues to affect brain function throughout childhood and into adulthood. How Does Low Thyroid Function Affect the Brain? In some cases, the levels of thyroid hormones can decline and become imbalanced. For example, the thyroid gland may not produce enough thyroid hormones. When this occurs, the condition is called hypothyroidism. When the thyroid is low, brain function can be negatively affected in several ways. The hippocampus is a structure in the brain that plays a role in memory. If the volume of the hippocampus is reduced, it may have a negative impact on memory. 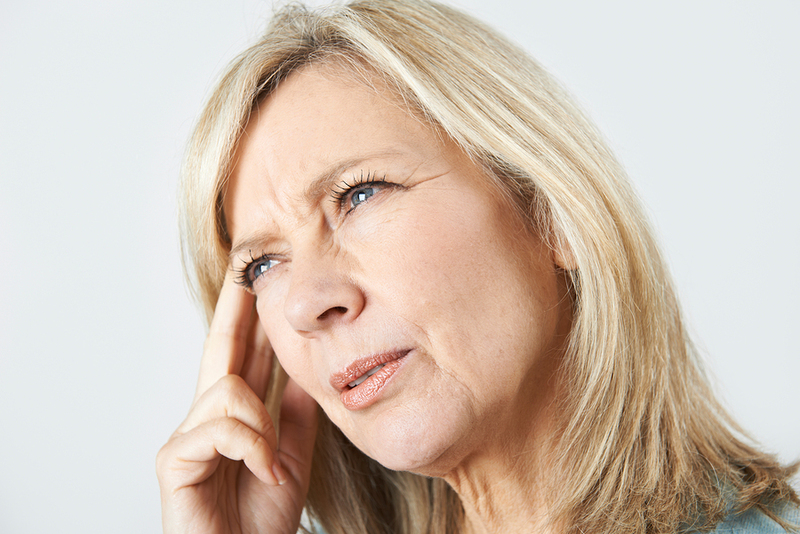 Deficits in verbal memory may especially be affected. But it’s not just memory that can be affected. Low thyroid levels may also affect mood and lead to mood changes. Some studies suggest that low thyroid levels are a significant risk factor for depression. How to Restore Thyroid Function? It’s clear that low thyroid levels can have a significant impact on brain function. The symptoms can interfere with work, relationships, and overall quality of life. Bioidentical thyroid hormone supplementation: One of the most important things you can do to restore thyroid function is to take bioidentical thyroid hormones to replace what’s missing. Bioidentical compounded T3/T4 thyroid hormones contain both the active thyroid hormone (T3) and the inactive thyroid hormone (T4), which are identical to the thyroid hormones made by your body. Everyone is different, which is why bioidentical hormones are a great option. They are customized for each person to provide a unique treatment to restore optimal thyroid function. We compound T3/T4 at Physicians Preference Pharmacy International. Learn stress management techniques: Thyroid hormone levels can be affected by the adrenal gland. When the body is under chronic stress, it can lead to adrenal fatigue, which may contribute to inflammation and affect the production of thyroid hormones. Although it is probably impossible to prevent all stress, there are healthy ways to keep levels in check. Practice stress management techniques, such as yoga, breathing exercises, and meditation to reduce stress. Decrease sugar: A diet high in sugar can interfere with thyroid levels. Too much sugar can increase the risk of inflammation in the body. Inflammation may interfere with the production of certain thyroid hormones. Although it may not be the cause of hypothyroidism, it might make the condition worse. Try to eliminate foods high in sugar, such as sweets, ice cream, and soda. Eat foods that contain selenium: Selenium is a trace mineral that supports optimal thyroid function. Getting enough selenium in your diet is easy. Foods that contain selenium include mushrooms, sunflower seeds, and Brazil nuts. Don’t go overboard with selenium. Too much may cause side effects, such as nausea, fatigue, and irritability. Get enough sleep: Lack of sleep can lead to a variety of problems. It affects the production of certain hormones and stresses the adrenal gland, which may contribute to low thyroid levels. Try to get between seven and nine hours of sleep each night. Develop good sleep habits including limiting caffeine several hours before bed, sleeping in a cool, dark room, and going to bed the same time each night. Take our symptom checker to find out if you have symptoms of low thyroid function. By replenishing your thyroid hormones, you can eliminate your symptoms and feel your best. Call our Wellness Consultants today to schedule your new guest visit. It’s time for you to get your life back!